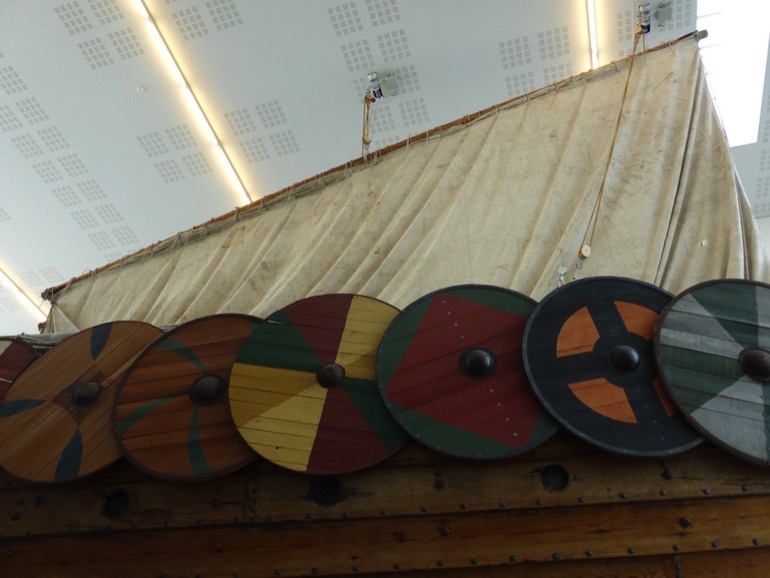 Have you ever wondered what it's like onboard a real Viking ship? 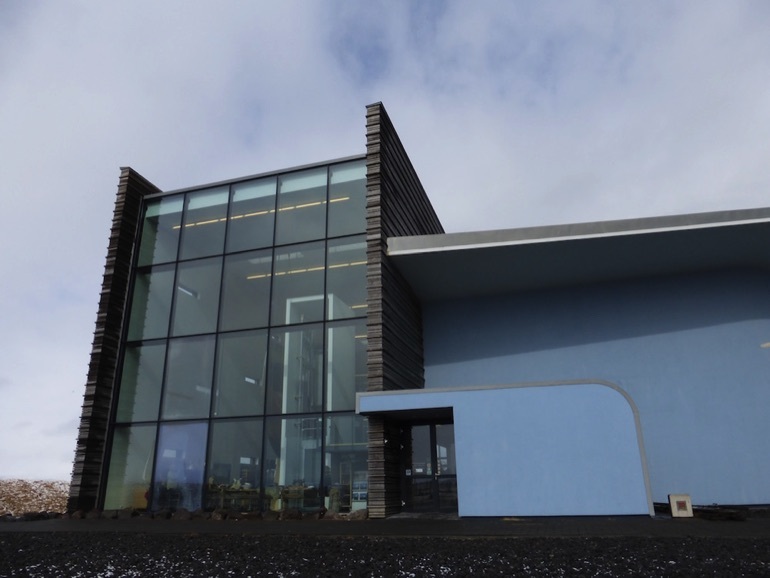 A museum near Keflavík offers the opportunity to find out. In October 1994, a shipwright in Iceland began an extraordinary mission: to build a Viking longship – and then sail it across the Atlantic to America. Gunnar Marel Eggertsson took 18 months to build the boat, mostly single-handedly, using Swedish and Norwegian pine and oak. 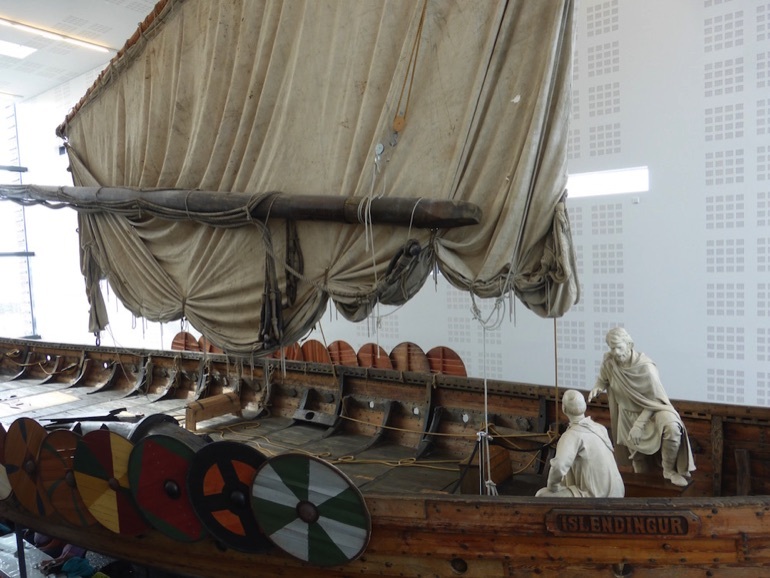 The resulting vessel – an exact replica of an old Viking ship called the Gokstad, which was excavated from an ancient burial mound in Norway in 1882 – can now be seen at the Viking World museum in Reykjanesbær, a short drive away from Keflavík airport. 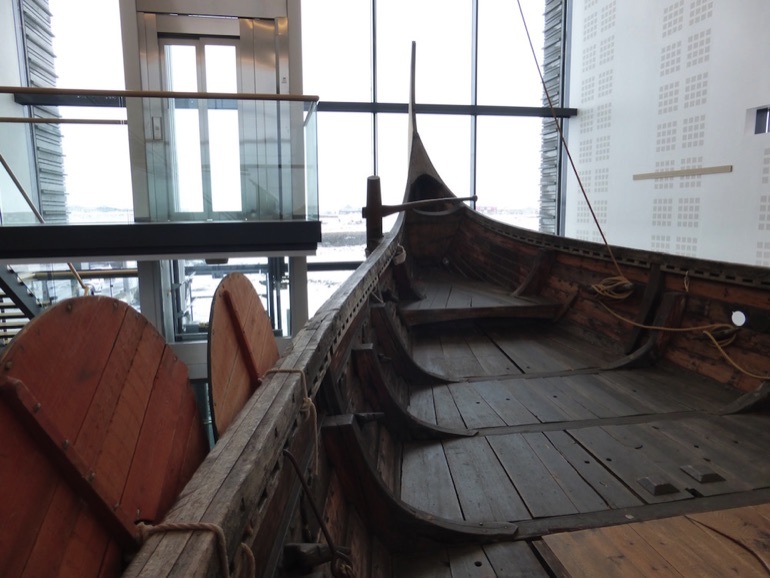 Housed in an impressive modern building made of glass and steel, it's a fully hands-on exhibit where visitors are invited to climb aboard and find out all about Viking ships and Eggertsson's remarkable voyage. Huge plate glass windows feature down one side of the building, with spectacular views out to sea – the ship's prow faces this panorama, giving the impression that it's about to set sail. Eggertson faced a number of obstacles during the project, and many people believed he would never achieve his goal. But on 16 March 1996, the ship was completed, and ready to set sail. The ship was christened by former Icelandic Prime Minister, Vigdís Finnbogadóttir, and named Íslendingur (Icelander) – after a ship of the same name that was built in Iceland during the Viking Age, and is mentioned in the Icelandic sagas. This close-knit team – along with a superbly built boat, designed to be fast and stable – ensured that the voyage was a success. After stopping in Greenland, the ship arrived safely in New York on October 5 2000. Climbing onboard Íslendingur in the Viking World museum, it's not hard to imagine the trials and challenges faced by both Eggertson's crew and the sailors accompanying Leifur Eiríksson during the Viking voyage of the tenth century. 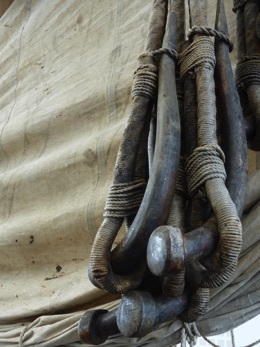 The ship is open, with little shelter – during bad weather, this must have made life very uncomfortable. In the Viking era, a ship like Íslendingur normally had around 70 crew members. In the middle of the ship there would have been a sandpit to support an open fire, and livestock such as lambs would have provided fresh meals for the long voyages. As well exploring inside the ship, visitors can also walk straight under it to appreciate its remarkable structure – thanks to supporting pillars that raise the vessel one and half metres up into the air. 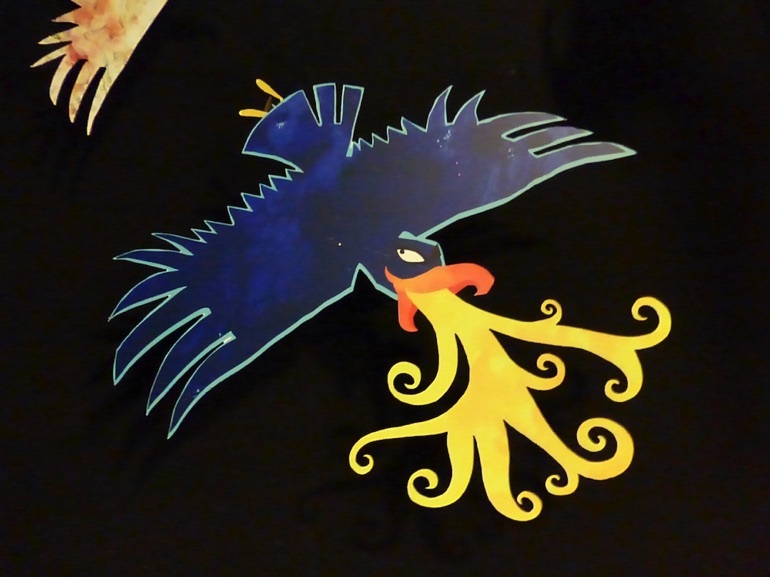 Alongside the Viking ship is the Fate of the Gods exhibition. 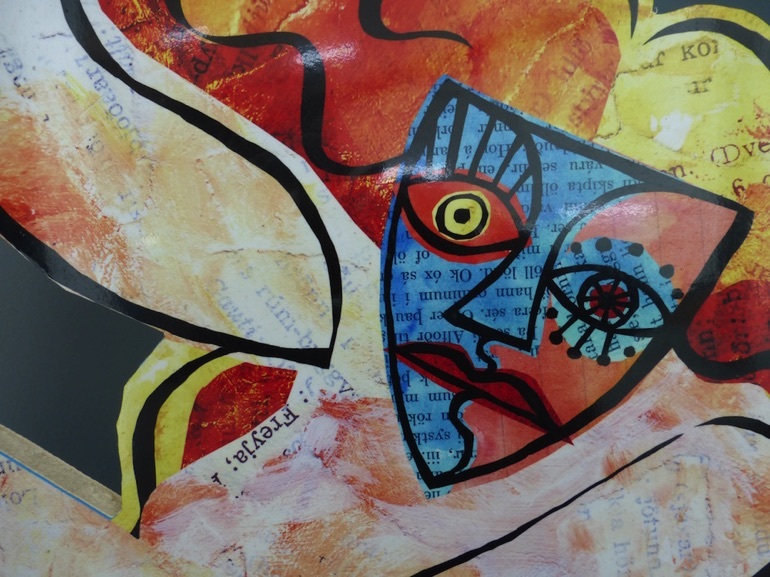 This colourful display explores Norse mythology and ancient cultural heritage through dynamic illustrations, produced by contemporary Icelandic artists. Wander through a series of darkened rooms, with clever use of lighting, storytelling and music, to learn about the society of pre-Christian Scandinavians and the gods and goddesses they worshipped. You can also learn all about early life in Iceland in the museum's Settlement of Iceland exhibition. 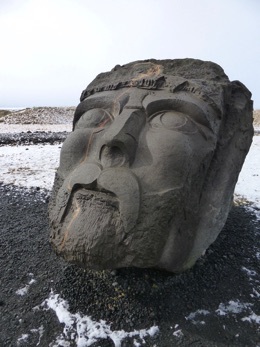 In 2009, excavations in Hafnir – a small village on the Reykjanes peninsula – revealed the ruins of a ninth century longhouse, believed to the oldest occupied building in the region. 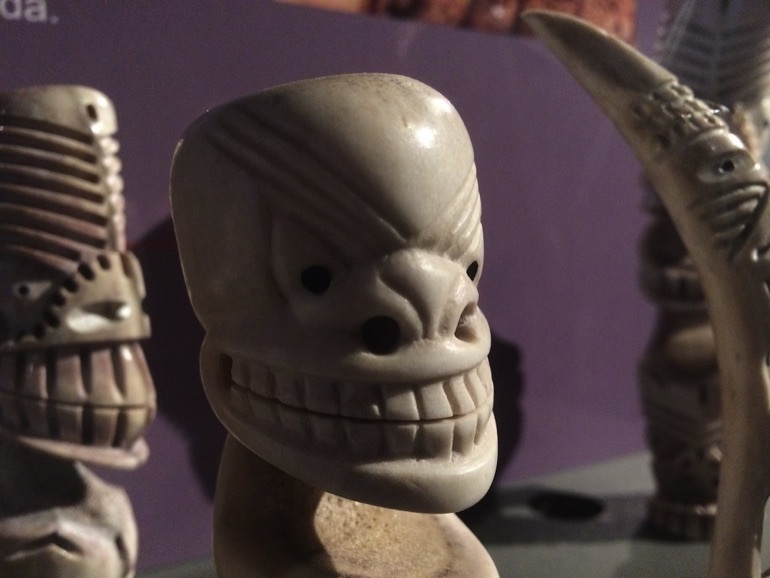 The artefacts that were found during the excavation are displayed in an attractive and imaginative way – look out for the detailed figures carved from the teeth of walruses and whales. A fourth exhibition – a film produced in cooperation with the Smithsonian Institution in USA as a part of the millennial celebration of Leifur Eiríksson's journey to the New World – tells the story of the Viking expansion across the North Atlantic. 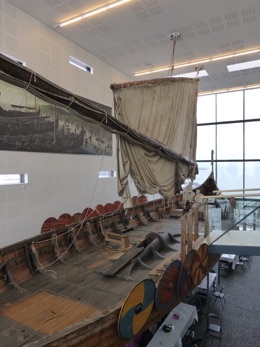 This is a great place to relax with a coffee and cake from the museum's café and to find out all about how the Vikings raided, traded, explored, and settled in wide areas of Europe, Asia, and the North Atlantic islands from the late eighth to the mid-eleventh centuries. Before embarking on the monumental voyage, the ship was given a number of test runs, including a trip from Reykjavík to the Westman Islands, off Iceland's south coast. Some of the shorter trips in Reykjavík harbour were made available to local schoolchildren. Between 1995 and 2000, more than 10,000 Reykjavik students were able to enjoy the experience of sailing in a Viking longship. On June 17 2000, Íslendingur set off for New York – a journey to commemorate Leifur Eiríksson's voyage to the New World a thousand years earlier. Accompanying Captain Eggertson was a crew of nine, most of whom were from the Westman Islands of Iceland, and already knew each other well.